The news may not be apparent to the casual observer, like an ale experiencing secondary fermentation in the bottle or cask. But it's big. 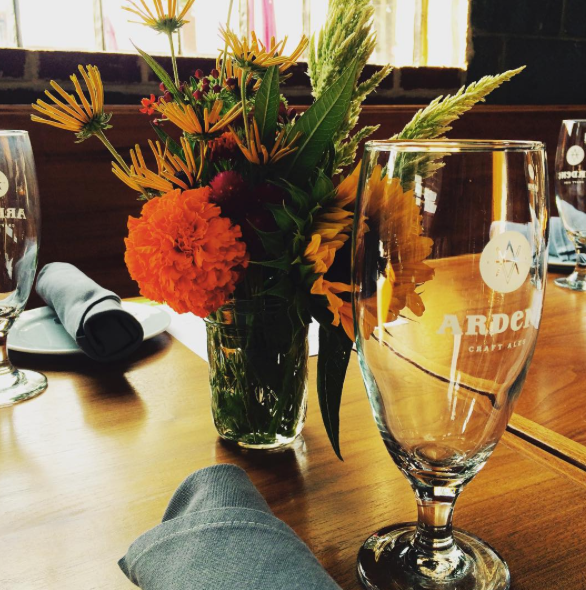 Ardent Craft Ales has announced the purchase of their brewery building and property located in the Scott's Addition neighborhood of Richmond – yes, the same property where you've been enjoying their beers since they opened this location in June 2014. The Ardent team bought the 1940s storage and warehouse building from local developer Scott Coleman of Crossroads Development, who originally partnered with the brewery in 2013 to renovate the property. The sale allows Ardent to proceed with a brewery expansion to support wider distribution, which is expected to begin later this year. "We are active members of the Scott's Addition community and deeply committed its history and future. Our decision signifies our intent to remain here long-term and to engage in the neighborhood in a more meaningful way," said Tom Sullivan, co-owner and director of operations at Ardent. The sale of Ardent's 25,875 square foot property includes the 9,100 square foot taproom and brewery building and a 2,000 square foot of beer garden.